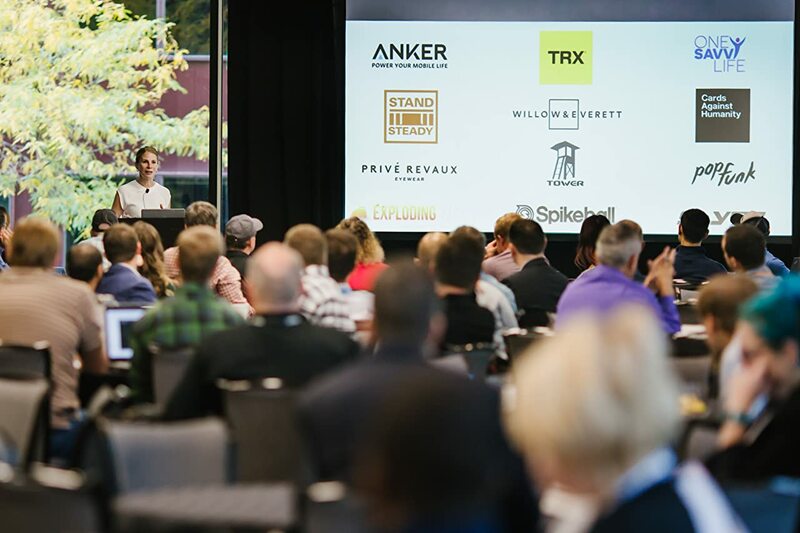 Join us in person this year to discover the tools & resources to help you succeed on Amazon, network with your fellow Selling Partners, and get help from Amazon's experts. Choose an Amazon-led educational track based on your business model and how long you’ve been selling. Meet, network, and learn from other Selling Partners of all sizes. Share success stories and work together to optimize your business on Amazon. Walk away with a plan to help scale your business after identifying the growth levers that make the most sense. Understand your pivotal role in Amazon’s commitment to maintaining outstanding customer experience. Understand the policies, metrics, and processes pertaining to your account health. Get an overview of the tools and programs available to sellers and how they can help you grow your business. Study up on fulfillment options and inventory management best practices to prevent stock-outs and plan for seasonal sales surges. Our Amazon expert panel will answer questions submitted through the social Q&A mobile event app. Learn how to help Amazon customers find your products via listing creation, search optimization, and advertising opportunities. Meet and network with fellow Selling Partners over a lunch and happy hour. Ask your remaining questions 1:1 in the Expert Lounge after we complete the educational tracks. Is this an Amazon event or hosted by a third party? This is an Amazon event, hosted and led by Amazon employees. Are the Selling Partner Summits the same as Boost? No, these are six smaller, regional Amazon-led training sessions that will show you how to increase discovery, conversion, and more. The Selling Partner Summit is a networking and education conference. Attendees are encouraged to participate through live polling and social Q&A during sessions with Amazon experts. Professional Sellers are welcome to attend including resellers, brand owners, and manufacturers. If you're currently selling as an individual, upgrade your account in Seller Central to be eligible. Can I bring my business partners? Yes. Each attendee needs to register separately. Selling Partner Summit registration is $279 (inclusive of fees and taxes) per person. Travel and hotel accommodations are not included in the registration fee. I won't be able to attend. Can I watch online or get slides afterwards? Event content will be available exclusively to Selling Partners attending in person. Continuing online education is available on Seller U.
I don't have a selling account. Can I still attend? A professional selling account is required to register. Visit services.amazon.com to get started. I have another question about Selling Partner Summit.